MONTVALE, N.J., Nov. 6, 2018 /PRNewswire/ -- Sharp Imaging and Information Company of America (SIICA), a division of Sharp Electronics Corporation, announces today that Bob Madaio has joined the organization as its new Vice President of Marketing. In this position, Madaio will report directly to SIICA President and CEO Mike Marusic and will be responsible for the organization's B2B marketing efforts across networked multifunctional printers, professional displays and its growing smart office and IT solutions business. A 20 plus year information technology marketing veteran, Bob joined SIICA to accelerate the growth of Sharp's brand and presence within the information technology industry, expand critical technology alliances and drive innovative programs through Sharp's channel sales network and the Sharp Business Systems direct sales organization. "The addition of Bob to our senior management group will help us develop alliances critical in the IT space," said Mike Marusic, president and CEO, Sharp Imaging and Information Company of America. "Bob has a very successful track record as a marketing leader in the IT world and his knowledge and experience will bring a new perspective to our vision of leveraging our technology advantages for the future of the Smart Office." Prior to joining Sharp, Madaio was a senior executive at two major IT solutions companies. He spent six years at Hitachi Vantara, helping customers derve greater value from their data, modernize their IT infrastructure and prepare for the coming IoT data wave. 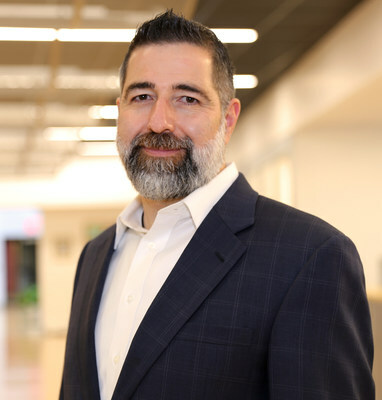 Madaio also spent nearly 15 years at EMC where he held a number of senior solutions marketing roles, alliance and market intelligence positions. "I am quite excited to join Sharp's executive team at this time," said Madaio. "Sharp is poised to build on its history of innovation by helping its business customers transform digitally with its vision of AIoT, a people-centric view of how data will power the future for businesses and consumers alike." Madaio officially joined the Sharp team on November 5, 2018. Sharp Electronics Corporation is the U.S. subsidiary of Japan's Sharp Corporation. Sharp is a worldwide developer of one-of-a-kind home appliances, networked multifunction office solutions, professional displays and energy systems. Sharp Imaging and Information Company of America, a division of Sharp Electronics Corporation, markets Sharp's business products, including MX Series multifunction printer (MFP) systems, professional and commercial displays and Skywell™ atmospheric water generators. Sharp was honored as an inaugural Thomson Reuters Top 100 Global Technology Leader in 2018, recognized as one of the tech industry's most operationally sound and financially successful organizations.